Another E3 is behind us. Naturally, we have more thoughts and impressions than we can count, but here are some of the most notable moments from Los Angeles. Fortnite was everywhere you looked! The Fortnite party rocked. The booth was massive complete with its own Battle bus. There were big tournaments on the big screen at Nintendo. Swag bags and T-shirts everywhere. Epic Games definitely made sure they stood out. One of the most fun events for Fortnite fans was Celebrity PRO AM where 50 celebrities and 50 Fortnite pros competed for 3 million dollars in charity prize money and, obviously, ultimate bragging rights. When Honor of Kings made its way over to the US under the name Arena of Valor a few months ago, everyone involved in the game (CAH included) knew it will be one of the biggest titles to date. This made the perfect occasion for Tencent to dive in E3 head first. E3 ESL Arena was the venue of choice for qualifications for the Arena of Valor World Cup. After 2 days of amazing battles it was decided that Allegiance Team will represent North America while For the Dream will play for Europe this July. Bethesda had one of the most packed press conferences at E3. Upcoming releases and new games include: Skyrim, Doom, Rage 2, Fallout 79, VR endeavours, brand new IP named Starfield and the game we worked on: The Elder Scrolls VI. We still don’t know when it will be launched or even on which platforms, but that wasn’t in the way of people getting beyond excited. Additionally, mobile gamers will get to experience the famous franchise on their smartphones as Bethseda also announced The Elder Scroll Blades - a mobile game that will provide a pure Elder Scrolls experience. That’s what we all love about any conference - thought provoking conversations, meeting inspiring people and catching up with friends we haven’t seen in too long. We went to parties, visited some amazing studios, walked the show floor, had intriguing conversations over food and drinks, and one epic night with 200+ friends in Koreatown eating Korean BBQ. 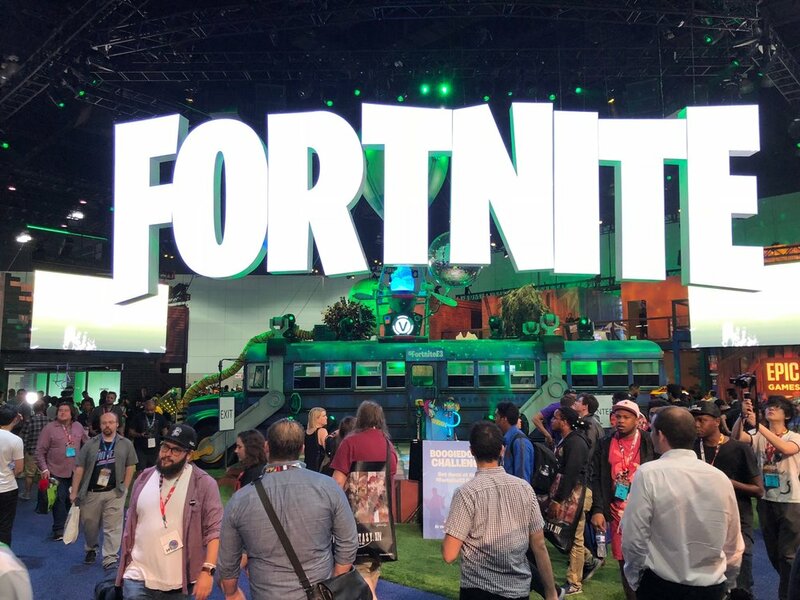 This year’s E3 had almost 70,000 attendees! Even though it takes hours to get a chance to check out the hottest titles, there are few things that get a true gamer as excited. 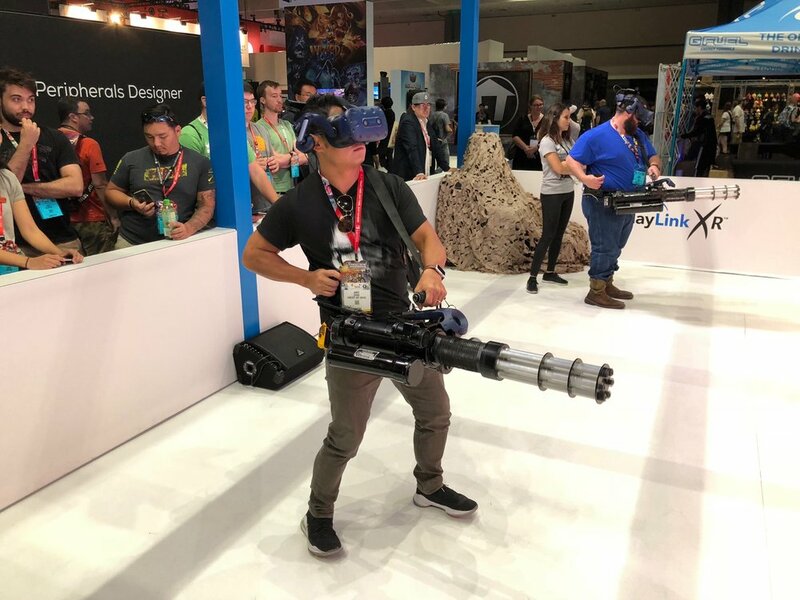 The options are abundant - from immersive VR experiences and exciting IPs to promising indie titles and games that are yet to dominate their genres. Now all that’s left is to wait for the announced titles to hit the market so we can tackle them hands on. We hope you enjoyed all the content from last week and here’s to another amazing E3!